The Macallan has unveiled a new look across its Scotch whisky portfolio. The redesign comes as the global brand opens a new, larger distillery in Speyside, Scotland that will expand production. 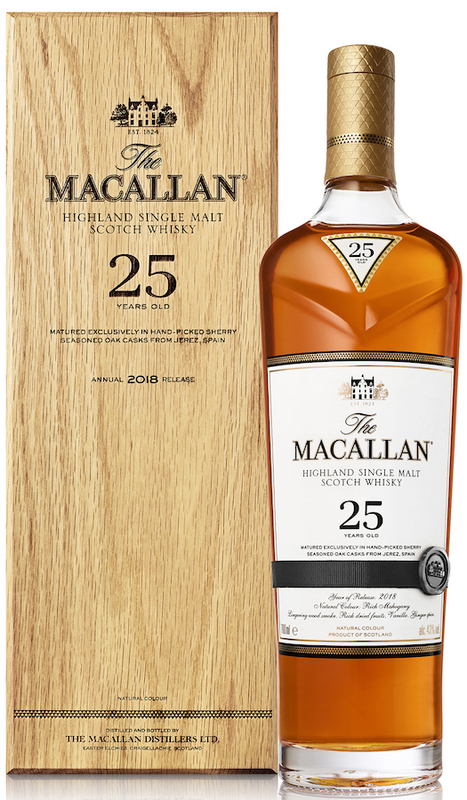 The revamped bottle design draws inspiration from its luxury expression The Macallan Rare Cask, the company says, as well as modern design cues reflected in the new distillery, and also consumer feedback about making the whisky ranges easier to navigate. The new look also coincides with redefining the core portfolio into three ranges that reflect the types of cask used to mature The Macallan — Sherry Oak Cask, Double Cask and Triple Cask Matured. The redesign enhances the wooden boxes for all expressions 25 Years or older by using real oak. The new bottles will be available across the U.S. beginning this month. As part of this, the Fine Oak range – launched in 2004 – will be renamed Triple Cask Matured. Fine Oak has always matured in three different cask types, so renaming it Triple Cask Matured puts it in line with Sherry Oak (one cask type) and Double Cask (two cask types), making it easier to navigate. We could not open top. What are the directions to open.